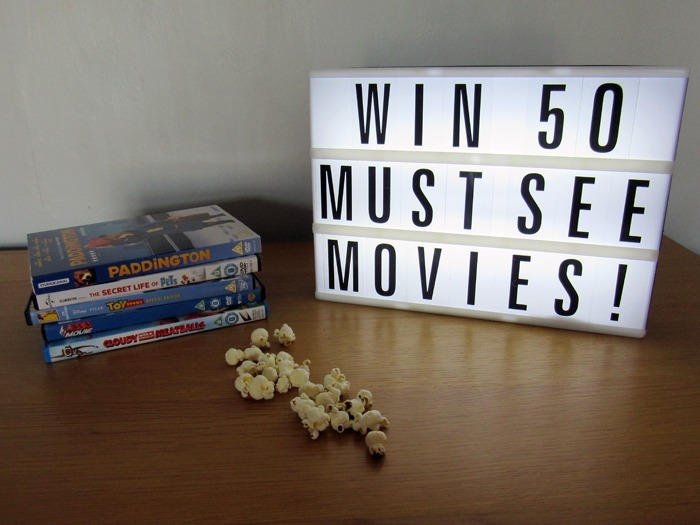 Win 50 must-see movies for kids! We love watching films as a family. Most weekends we sit down together in front of a suitable movie. Of course, there are varying degrees of success but, for the most part, we see them in their entirety without sibling arguments or one of the kids wandering off. I especially enjoy sharing titles that I loved as a child. Particularly when they seem to like them as much as I do! Watching their faces brings something back and I think this demonstrates the power film has to capture young imaginations. And that takes us to the point of this post. 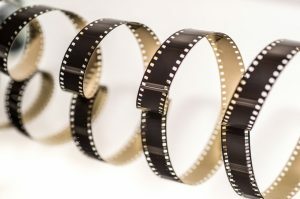 Educational film charity, Into Film, has today published a list of 50 must-see movies to watch before the age of 11. Divided into five themes, the list is packed with family-friendly features. Among them are some titles you would expect to see including the likes of Frozen and Toy Story. There’s also a strong contingent of films based on Roald Dahl books which is very pleasing. The films were chosen alongside industry experts. Those that made the list were selected for their ‘timeless factor’, life lessons and diversity, making them must-sees for children to help develop their understanding of the wider world. Looking through the list, my kids have only seen 15 of the films. It seems we have work to do. Ah well, it’s a hard job but someone has to do it. Any list like this is going to spark debate among movie buffs. I, for one, was disappointed that neither Time Bandits nor Labyrinth made the final cut. On the flip side, I’ve never seen what all the fuss surrounding The Princess Bride is all about. I was delighted to see a few of our favourites on there though. These include The Lorax, The Gruffalo, Shrek and Night at the Museum. This again proves the importance of film. It inspires thought and, therefore, strong opinion from an early age. Here’s your chance to win ALL 50 of the films on the list on DVD. To be in with a chance of winning this fantastic prize, answer the question below as a comment. You can also use as many of the extra entry methods as you like in the Rafflecopter widget below. Good luck! 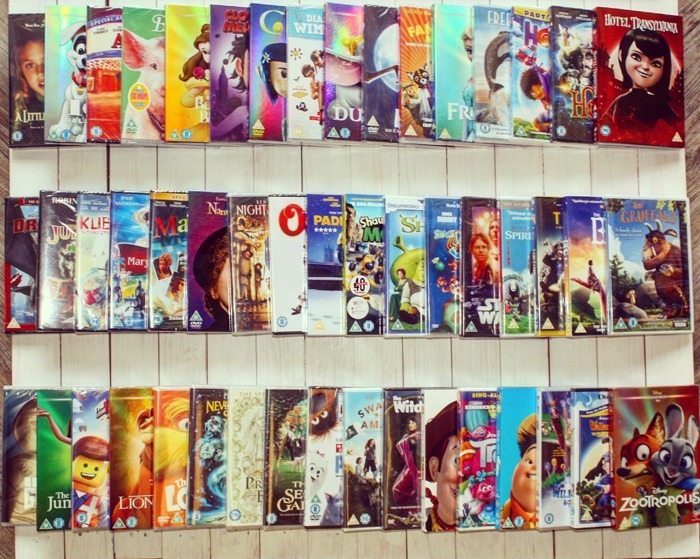 What would be top of your list of must-see movies for kids? Finding Nemo Man That’s A Cute Fish! Inside Out because it gives kids a whole new way of talking about their feelings! minions is always a winner for us! Such a hard one but has to be Toy story! Robin Hood (the Disney version). I loved it when I was a kid and my kids love it now! Toy story it is just a fantastic film. We all the the toy story movies in our house. 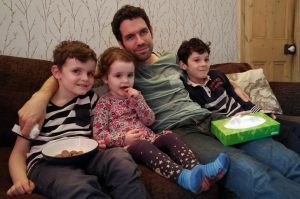 It’s great with a kids film when the parents actually can enjoy it too. Got to be The Lion King, I saw it at the cinema when I was a kid and my son loves it now. Hook would be one of my must see movies for kids. I love all the Toy Story films! Alice in wonderland and hook, loved those movies when I was little. A little princess! Oh I used to love this film. I lost my father when I was 11 & used to fantasize that my dad was still alive somewhere like Anna! I’m yet to watch it with my son because I’ll be a blubbering mess! Toy story. Love the idea of toys coming to life. Beauty and The Beast would top my list, purely because it was my favourite childhood film, but also I think it promotes a really positive message regarding looking beyond physical beauty and understanding a person for who they are rather than what they look like. I think this is a really powerful and important message for children. E.T. for me. Spielberg’s family classic is still one of the best. Toy Story would be top of my list of must-see movies for kids. The Jungle Book – wonderful story and fantastic sing-along songs. My daughter loved the Jungle Book, my partner would say the Goonies. Paddington Bear – such happy memories of those lovely books! Inside Out. I just think that the plot and concept is fantastic. The Lion King, I loved it as a kid and I love it even more now. The Secret Garden would be my top choice. Lion King for me appeals to both sexes lots of fun. ET – totally wonderful but heartbreaking! I watched E.T. 23 times when it came out back in early 80’s, my Mum says I was proper obsessed. So would have to go with that one simply for the nostalgia and the story. The original and best Transformer animated movie from the 80s. Home Alone is my all time fave! Even though we have seen it 100 times, top of our list would have to be Shrek, closely followed by Home Alone! E.T. The Extra Terrestrial one of my all time favourite movies. A must watch for everyone young or old. Willy Wonka & the Chocolate Factory .. the 1971 version with Gene Wilder. The Lorax, it’s probably one of my favourite films of all time. The Lion King – I took my niece for her 6th birthday – we loved it! Shrek! I loved it when it first came out! Bugsy Malone – still my favourite now! Those songs…love that film! Trolls as my daughter absolutely loves it and the music. Beauty and the Beast is a classic! That’s a really tough question! I think I’d go for Harry Potter and the Philosopher’s Stone. ET and the Little Mermaid are probably my two favourites. Coraline is a great film that is slightly scary and very imaginative. Definitely Matilda, the message is so upifting. Ballerina, such a stunning movie for kids, not sure who liked it more, me or my daughters. Annie, the original is a classic! Loved the Paddington cartoons when I was younger and the newer film is brilliant, so that would be my pick. Got to be Mary Poppins! 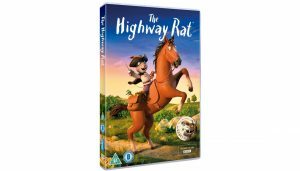 Was a big favourite of mine and is now one of my children’s favourites too. Home alone ,, We often watch the box set as a family and never get bored of watching the same thing. I think Mary Poppins is such a lovely film for both girls and boys. Both my 2 boys 2 and 6 were captivated by it!